← Do You Remember The “Washington Marathon” to Forestall Desegregation and Voting Rights? – The phrase originated as ‘as soft as a brush’ and the brush is the tail of a fox. This is plausible in that ‘soft’ is a northern English term for stupid, and foxes tails are in fact quite soft to the touch. – The brushes in the expression are the boys that were employed in the 18th/19th centuries to climb inside chimneys to sweep them. The theory here, which is somewhat less plausible, is that the boys were made into idiots by being repeatedly dropped on their heads when being lowered down the chimneys. Nevertheless, as we shall see, the ‘brush’ in this simile is neither of these; it is, as the dictionary would have it “A utensil consisting of a piece of wood or other suitable material, set with small tufts or bunches of bristles, hair, or the like, for sweeping or scrubbing dust and dirt from a surface”, that is – a brush. The wives of two members of a kin-group locally thought to be eccentric and extremely unsociable were pointed out by several people as ‘gay queer’ and ‘daft as a brush’. Fond, silly, foolish. An old Northern word. ‘Fond-as-a-buzzom’, remarkably silly. He that is young thinketh the old man fond. So remember, if you are visiting the English northern counties and some old codger says that you are ‘as fond as a buzzom’, it isn’t exactly a compliment. Meaning: Engage with the basic facts or realities. All of the other known early citations either originate in, or refer to, Texas. It is reasonable to assume that the phrase was coined there, in or about the 1860s. 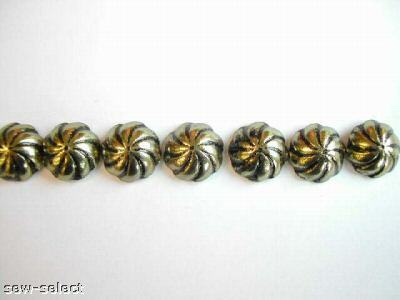 Brass tacks are, of course, real as well as figurative items and two of the most commonly repeated supposed derivations refer to actual tacks. Firstly, there’s the use of brass-headed nails as fabric fixings in the furniture trade, chosen on account of their decorative appearance and imperviousness to rust. Such brass tacks were commonly used in Tudor furniture and long predate the use of the phrase, which would tend to argue against that usage as the origin – why wait hundreds of years and then coin the phrase from that source? The supporters of that idea say that, in order to re-upholster a chair, the upholsterer would need first to remove all the tacks and fabric coverings, thus getting down to the basic frame of the chair. While that is true, it hardly seems to match the meaning of the expression, as the tacks would be the first thing to be removed rather than the last. Various other explanations relate to the tacks in boots, those that were put on chairs as a prank, the rivets on boats, etc., etc. None of these come equipped with any real evidence and are best left alone. Of the supposed explanations that do not have literal allusions, we can rule out links with any form of ‘brass tax’. There have been taxes on brass at various times, but no one can find any connection with this phrase. ‘Getting down to brass tax’ appears to be just a misspelling. The expression is also often said to be an example of Cockney rhyming slang, meaning ‘facts’. In the strange world of Cockney argot, ‘tacks’ does indeed rhyme with ‘facts’ (facks), but that’s as far as it goes. Rhyming slang coinages from the 19th century are limited to the UK and Australia. The apparent US origin of the phrase discounts the rhyming slang origin. Meaning: A quotation, attributed to Queen Victoria. Origin: This supposed quotation was attributed to Queen Victoria by courtier Caroline Holland in Notebooks of a Spinster Lady, 1919. Holland attests that Victoria made the remark at Windsor Castle: ‘There is a tale of the unfortunate equerry who ventured during dinner at Windsor to tell a story with a spice of scandal or impropriety in it. “We are not amused,” said the Queen when he had finished.’Holland doesn’t claim to have been present at the dinner and is good enough to describe the account as a “tale’, that is, her account has the same standing as “a man in the pub told me”. 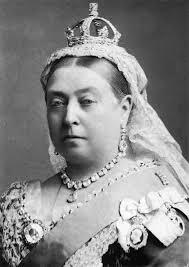 Despite the fact that in almost all of the photographs and paintings of her, Victoria provides a particularly po-faced demeanour, she had the reputation of being in private a very fun loving and amusing companion, especially in her youth and before the crown began to weigh heavily on her. In public, it was another matter, as Victoria preferred to maintain what she saw as the dignity of her position by remaining sternly impassive. She did, of course, become considerably less fun-loving after the death of her husband and her persona in later life is well-documented as being dour and strait-laced. As to whether she ever uttered the expression ‘we are not amused,’ there is little convincing evidence that she did so with the intention of conveying the serious intent that we now ascribe to the phrase, although in the 1976 biography Victoria Was Amused, Alan Hardy makes the claim (again without offering explicit evidence) that Victoria did sometimes utter the expression ironically. The evidence to support the idea that Queen Victoria originated this expression ‘we are not amused’ lies somewhere between thin and nonexistent. Meaning: To rack one’s brains is to strain mentally to recall or to understand something. Meaning: A worthless, good for nothing person. Some ha’e a hantla fauts [have many faults] , ye are only a ne’er-do-well. Meaning: Literal meaning, that is, a living person of considerable fame. 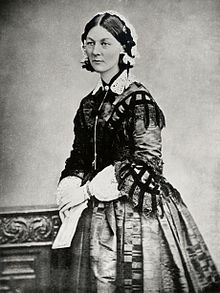 The name of Florence Nightingale lives in the memory of the world by virtue of the lurid and heroic adventure of the Crimea. Had she died–as she nearly did–upon her return to England, her reputation would hardly have been different; her legend would have come down to us almost as we know it today–that gentle vision of female virtue which first took shape before the adoring eyes of the sick soldiers at Scutari. She was a legend in her lifetime, and she knew it. The ‘own’ is now almost always added to make ‘a legend in his/her own lifetime’. The ‘lost’ Apaches of northern Mexico. Strachey’s phrase has spawned imitations. ‘A legend in his own lunchtime’ is often used humorously about chefs or notorious drinkers (“Lunchtime O’Booze” was used by Private Eye magazine as a generic term for a habitually drunken journalist). Less affectionately, there’s also ‘a legend in his own imagination’, referring to those whose good opinions of themselves are not shared by others. This entry was posted in British history, Uncategorized, word play and tagged phrases, word origins, word play. Bookmark the permalink. 8 Responses to Are You Familiar with These Words and Phrases? Oh dear:( What was I thinking of😂😂 Thanks for the correction! I’m sure she has, but I might have missed some of her posts, I’ve only been following for a couple of months, I think. Mid 17th century (as tyd bit, tid-bit): from dialect tid ‘tender’ (of unknown origin) + bit1. Some familiar phrases there, Regina. These are some of most favorite posts to prepare, Carol. I love how words change.